S.D. Jain Girl’s College, Dimapuris situated in Nagaland State. The S.D. Jain Girl’s College, Dimapurwas started and now in a good condition also. The College of Arts have the hostel facilities and all other infrastructures. S.D. Jain Girl’s College, Dimapur, S.D. Jain Girl’s College, Dimapurprovide Bachelor degree courses and diploma courses in Arts.Shri Digamber Jain Girls’ College, Dimapur, fondly called S. D. Jain College or just Jain College, was established and sponsored by Shri Digamber Jain Samaj, a minority socio-religious organization, in the year 1993. The Samaj conceived this noble idea and started the college specifically to encourage and foster higher education and learning amongst the girls and also as a token of this small society’s sincere concern and care for women education. The founder Secretary, Shri Chandmal Sethi, says, four students took admission in the first batch. Now, it has earned the reputation of being the first choice of many students in and around the the state of Nagaland. We are grateful to our well-wishers and all those noble souls for having accredited the S. D. Jain Girls' College, with such accolades. We are humbled. Your appreciation will always add extra motivation for us go the miles. 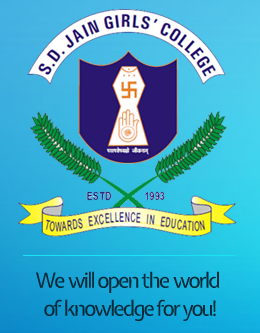 SD Jain Girls College, Dimapur offers various graduate courses as well as Post Graduate courses. SD Jain Girls College, Dimapur is affiliated to Nagaland University, Kohima. List of facilities available at SD Jain Girls College, Dimapur for students. This page was last modified on 12 November 2015 at 19:11.